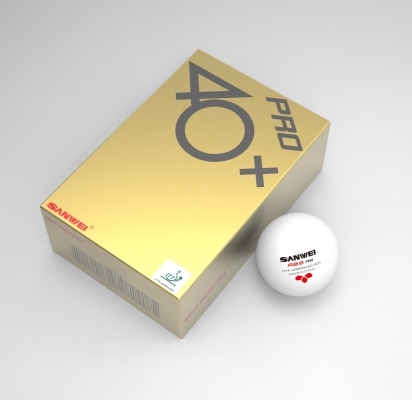 Sanwei ABS 40+ Pro 3 Star Table Tennis Ball x 144 Balls. High quality ITTF approved 3*** Table Tennis Balls made of new ABS material with seam. Outstanding ball performance, stable bounce, excellent durability, distinctive sound and modern logo design. Balls are white in packs of 6 balls. Ball recommended by Topspin staff. Performance: High performance ball with stable bounce and excellent durability.